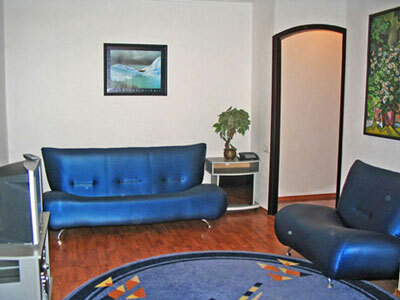 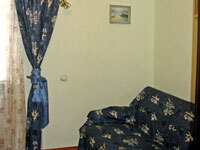 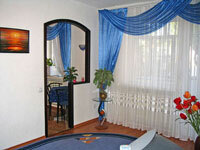 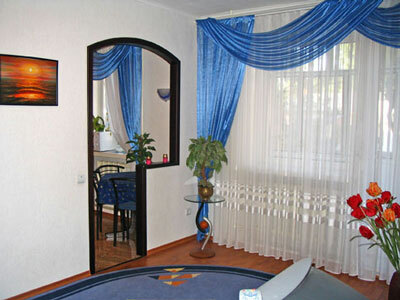 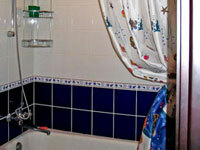 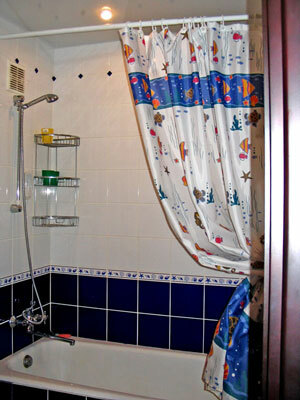 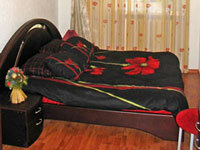 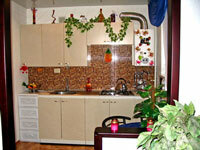 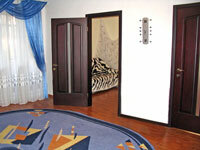 The apartment for daily rent in the downtown is always the combination of comfort and convenience. Wonderful view, new remodeling, the capacity is enough for 7 people. The apartment is in the downtown of Dnepropetrovsk, there is a mini-market, a restaurant, technical appliance store, amusement centre, Ekaterininskii square with fountains. 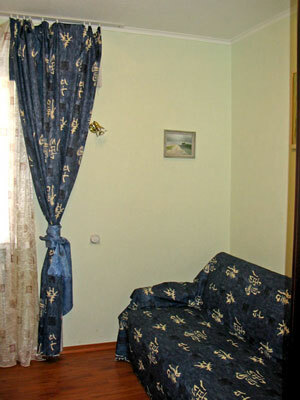 There are four cozy sofas and a dinner table for two people with chairs, double-bed, integrated kitchen, TV, musical centre, bathroom with Italian tile.